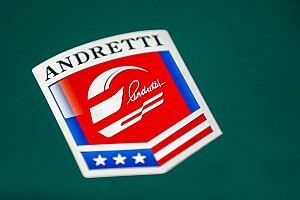 Third-generation racer Jarett Andretti will compete for Andretti Autosport in the Indy Lights championship’s marquee event, the Freedom 100 at Indianapolis Motor Speedway. Zachary Claman De Melo and Rinus VeeKay claimed Indy Lights victories at St. Petersburg, as Parker Thompson swept Indy Pro 2000 and Braden Eves did the same in USF2000. Juncos Racing announced today Dalton Kellett would join the team for his fourth season of Indy Lights Presented by Cooper Tires. Davey Hamilton Jr. is facing charges of aggravated assault and false imprisonment of his ex-girlfriend after being arrested in West Palm Beach, FL. on Saturday. 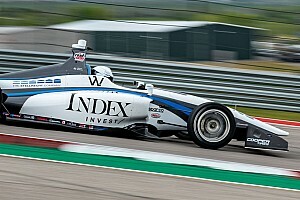 Oliver Askew led Andretti Autosport in a 1-2 at the end of Indy Lights’ third and final test session at Circuit of The Americas, while Juncos Racing’s Rinus VeeKay finished third. 2017 USF2000 champion Oliver Askew will race the #28 Andretti Autosport Indy Lights entry this year, it has been confirmed. Oliver Askew headed the initial day of the first Indy Lights test of 2019, heading ex-GP3 racer Julien Falchero and Ryan Norman in an Andretti Autosport 1-2-3. Robert Megennis will race the #27 Indy Lights car for Andretti Autosport this year, only the fifth driver confirmed in the series, and the second confirmed for the championship-winning squad. Reigning Pro Mazda champion returns to Juncos Racing to compete for Indy Lights championship next season. Zachary Claman de Melo, who competed in nine IndyCar races for Dale Coyne Racing this year, will return to Indy Lights next season to race for Belardi Auto Racing. The final Road to Indy Open Test of 2018 was ended early by a heavy rainstorm on the Homestead-Miami Speedway road course leaving Rinus VeeKay heading Indy Lights, Parker Locke leading Pro Mazda and Hunter McElrea at the top of USF2000. 2018 IndyCar part-timer Zachary Claman DeMelo will step back to Indy Lights to test for Belardi Auto Racing next week, while graduates and newcomers will appear in all three RTI categories. Richard Philippe, 2005 Formula BMW USA champion, was among those who perished in a helicopter crash last week in the Dominican Republic. Ryan Norman, who finished fourth in the 2018 Indy Lights championship in his second year in the series, will return with Andretti Autosport next season. 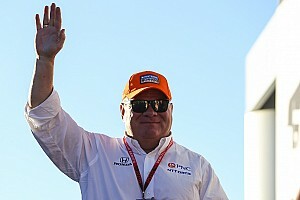 Jonny Baker is the man tasked with ensuring the Road To Indy program capitalizes on a resurgence in IndyCar’s popularity as young drivers struggle to find the finances and opportunities in European open-wheel racing. He spoke to David Malsher. The Road to Indy presented by Cooper Tires will enter its 10th year in 2019 offering a total of $2m in prize funding for its title winners, including an increased payout for the Indy Lights champion. Andersen Promotions has announced the 2019 Road To Indy Presented by Cooper Tires schedule, with the Indy Lights, Pro Mazda and USF2000 seasons all ending the same weekend and venue as IndyCar's finale. Two-year Indy Lights veteran Ryan Norman headed the Indy Lights field at the Chris Griffis Memorial test, as Darren Kean led in Pro Mazda and Hunter McElrea topped the USF2000 times.